Our buildings are like nothing else in the industry. Here at iForm, we specialise in the design and manufacture of composite buildings such as Beach Huts, Leisure Buildings, Mobile Retail Units & Lifeguard Stations to Residential Chalets complete with fitted kitchens & bathrooms, utilising our structural insulated panels which are completely unique to us World Wide. We specialise in creative modular, beach huts and portable buildings designed to any style and specification, with a superior build quality using unique composite panels. 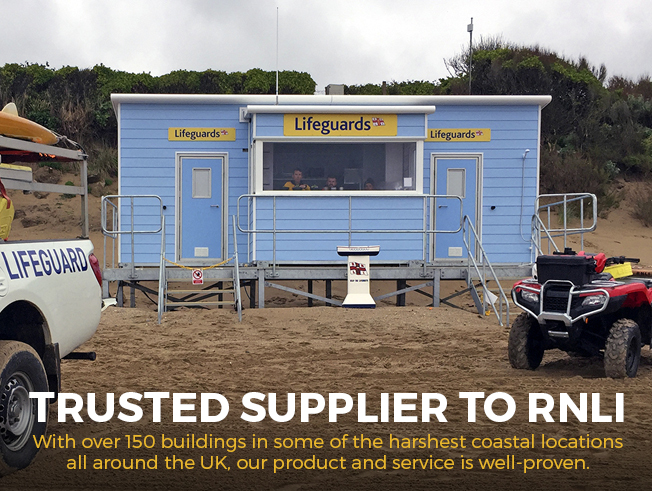 You can see many of our builds around the shores of the UK: we design and build Lifeguard Units for the RNLI – we have completed more than 100 builds for them, so we have a proven track record with a high-profile customer demanding the most exacting standards.Our factory and design studio is based in Dorset. We have a highly-skilled team passionate about creating bespoke commercial spaces. From design and planning, to construction drawings, interior/exterior design and manufacture, we offer a complete project solution. We’ve even developed our own composite panel technology, which we’ve been pioneering for over 25 years.